"Find you perfect dress for that special occasion" - Cocktail Evening. Living up to their name, you can find an array of wonderful dresses here. From casual basic dresses to bridesmaid dresses, even long gorgeous gowns! All of these at a very affordable price! Under their monthly collections which are all ready stocks, you can find your everyday type of dresses. Think -- picnic in the park, first date, to the movies; those kind of dresses. You can even pair some of them up with blazers or a silk scarf to dress it up like an afternoon tea party or dress it down by throwing a blazer on for more of a formal look. This with chunky bright accessories for that afternoon tea. White blazer over this piece for that casual Friday in the office. As the name has said it all, cocktail dresses! Also known as evening dresses or gowns. Cocktail Evening has a tons of designs, materials and colors for you to choose from! Note that these are all pre-orders. 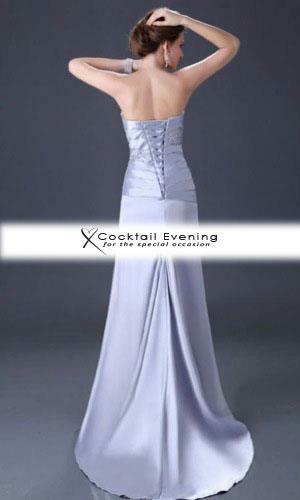 How bout this elegant light silver piece with a little trail of the back of the skirt. Or what about something short and cute like this? Reminds me of a fairy dress! Or do you want to be more bold and stand out like this? There's still the simple one like the one pictured above, keep it short and sweet I would say. But with the bold color you'll still definitely stand out. I love how the stitching looks perfect and the cutting seems to hug every part of your curve. Cocktail Evenings do also provide fitting and alterations! Now onto their Bridesmaids collection. There are so many types of wedding everyone wishes to throw nowadays. Can be quite a handful for some especially when it comes to the dress selection for the bridesmaids. Well, fret not! 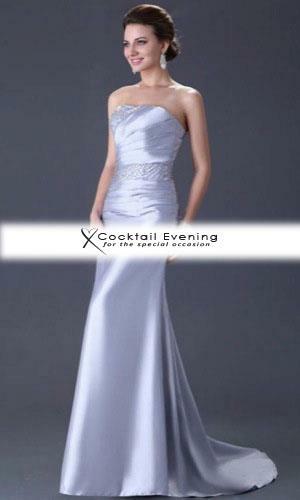 At cocktail evening, you may have the same designs for all your bridesmaids but in different color, gradient perhaps? Or vice versa, same color but different designs. It all suits what you want. They have this lovely asymmetrical piece, which is definitely something different also easier for you bridesmaids to be in throughout the whole day. Maybe a floor length bridesmaids gown? Comes in a few colors too. 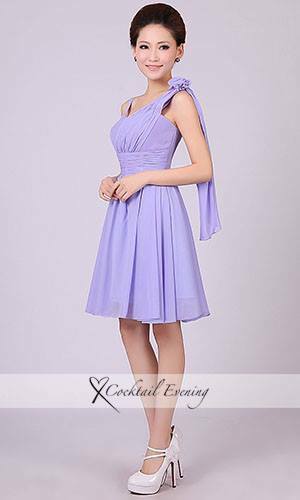 What about something more light and simple like this pastel purple one with a little cloth hanging over your right shoulder making the dress more feminine and outstanding. Or a sash around the waist in the bright pink color! Remember what I mentioned above? Instead of following the old traditional way where all bridesmaids look alike, you can go with the same color but different designs as pictured above. Well have you feasted your eyes on these lovely beauties? No more scratching your head thinking about where to get these lovely gowns because you can find them all now only at Cocktail Evening! Monthly collections are READY STOCKS, where else the gowns, bridesmaids dresses, cocktail dresses are all PRE-ORDERED. If you look them up on Facebook this is how it's gonna seem like. But if you checked out their webpage, just click on the following tabs to see the dress you want to. Best part of all, it's not a buy and done deal kind of thing as Cocktail Evening does fitting and alterations for you! So you don't have to worry about finding a taylor and such just because that size S gown that you chose might still be a bit loose for you as Cocktail Evenings can assist you with that! So what are you waiting for! Better to be on a head start dress hunting now than later.